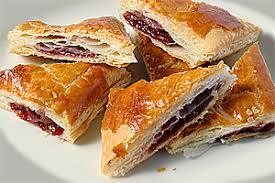 Pastelillos de Guayaba - Guava Turnovers - Tienditadepuertorico.com - Buy Puertorican Food Here!! the edges with beaten egg. Fold over to form a triangle.